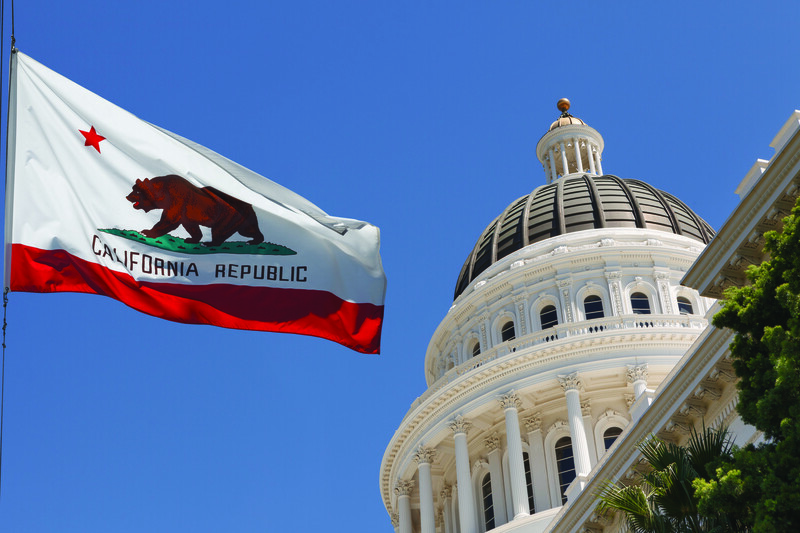 The summer of Senate Bill 1146 (SB 1146) marked a season of new learning for California’s faith-based institutions, including Azusa Pacific University. We learned practical things, like the way into the state capitol building is not through the sealed majestic front door but through the security annex on the side. We discovered which elevators were for public use, where to find our local assemblymember’s office, and which side of the Capitol houses the state Senate. We also learned surprising things. For example, only a handful of lawmakers had ever heard of us, and therefore, the majority had no idea where we were located, what our mission is, or what we do each and every day to help educate the next generation of state leaders. Regrettably, we also came face-to-face with the fact that many lawmakers view faith-based institutions with suspicion. They believe that our advocacy for religious freedom represents a mere pretext for licensed discrimination and that our religious mission constitutes a problem, not a benefit, for students who attend. Like a modern Rip Van Winkle, we awoke to find out that not only had the culture dramatically changed, but also that whatever societal and cultural privilege we may have once enjoyed was now long gone. To be sure, we anticipated that the ripple effects of the U.S. Supreme Court’s decision in Obergefell v. Hodges (2015) would one day have implications for churches, faith-based business and civic communities, faith organizations and, eventually, faith-based colleges. But we thought that we had years to prepare for this, not months. Therefore, when SB 1146 crashed on our shoreline in the summer, we were unprepared – at least a decade behind in preparing for this new season. So we got to work. We took stock of our existing resources, gathered an internal team that had experience with navigating the political system, began regular conference calls with our partner organizations in Sacramento, and called on friends who had political expertise and know-how. We reached out to alumni who had previously worked in the legislature. We consulted political experts in Sacramento and Washington, D.C., and asked for advice. We listened attentively and took notes. And we learned. Although it seems obvious now, we realized that private, faith-based institutions are not insulated from some regulatory pressures and cannot turn a blind eye to developments in the state capital. We admitted early on that we also need to do a much better job of building relationships with our local, state and federal legislators, since most neither knew us nor understood our robust contribution to the higher education landscape in California (particularly in our service to underrepresented groups), with graduations rates that exceed our public counterparts by double digits. We learned to listen to what matters most to lawmakers. When we did that, we realized that we had much in common. We share their commitment to providing California’s many first-generation college students with a high-quality education, andwe echo their desire to have returning veterans complete their degrees in a timely fashion. We had already begun to track our retention, graduation and employment statistics, so we shared our success stories in producing graduates who are well-educated and well-trained to be productive contributors to society – difference-makers whom anyone would be pleased to call neighbor, colleague and friend. The legislators with whom we talked were pleased to learn that Azusa Pacific has an intentional outreach to under-resourced students, and that our first-year retention rate hovers near 90 percent, which is dozens of percentage points higher than the state average. They were surprised to hear that nearly half of our undergraduate students and nearly three-fourths of our graduate students identify with a racial and/or ethnic minority group and that we now are designated as a Hispanic-serving institution. Our passion for serving minority students mirrored their own. Institutional advocacy will take time, so we considered ways we could redirect personnel and additional resources to the work of cultivating relationships with potential friends and allies around the state. Our friends in Sacramento helped us to see that we need to lay the groundwork now to earn a seat at the negotiating table so that when future legislation is proposed, we are a known and trusted educational partner. We found out the hard way that asking to be heard when a bill is on the verge of passage is problematic. That is why we are seeking conversation with lawmakers now so that we will be ready when the legislative cycle begins anew in January. We also more fully understand what it means to navigate the political sphere. Though members come and go when political opportunity arises, they take careful note of who supports them during critical election seasons. That means we need institutional officers to consider contributing financially to help legislative friends and allies stay in office, and we need to do a better job of encouraging our students to pursue internships in and around the capitol. Lawmakers who knew us, or knew of us through our students, were much more receptive to our messages and quick to affirm our value. Although California has been a “deep blue” state for some time – nearly two-thirds of the legislature and all elected statewide officials are Democrats – we did not realize until this past summer just how one-sided our friendships had become, despite the diversity of our community and our perspectives. Moving forward, we will be intentional in reaching out to all lawmakers, building bridges across the aisle. To begin that process, we have solicited introductory conversations with our state’s most powerful legislative groups, including the Democratic Caucus, Black Caucus, Latino Caucus and LGBT Caucus. 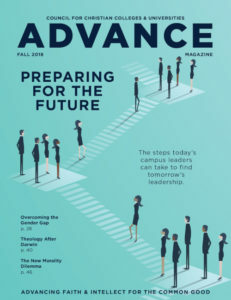 Though much of our learning focused on the political arena, we also noted that our Christ-centered mission to graduate difference makers is still greatly needed. Our culture still hungers for the message that God’s infinite mercy and sacrificial love make a way for everyone to be made whole. Jon R. Wallace is president of Azusa Pacific University in Azusa, California. Jennifer E. Walsh is a policy expert and dean of the College of Liberal Arts and Sciences at Azusa Pacific University.